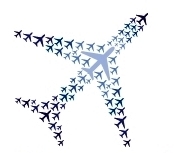 Did You Know Active Military Members Get Free American Airlines Lounge Access? I like to think I know quite a bit about points/miles/frequent flyer programs etc. but even after 2.5 years of blogging, I’m still learning new things and this tip is a good one for our active military members. This weekend I learned that American Airlines offers active military members complimentary lounge access to their Admirals Club when flying on American Airlines just for being active military! They even have the policy documented on their website. My friend, Navy Lieutenant Jon S., shared this with me as he was returning from a weekend trip to Gulfport. He lives in Rhode Island and always has a connection through Charlotte when flying on American Airlines which is a hub for American after the US Airways-American Airlines merger. While waiting out his connection in Charlotte, he simply showed the agent at the front desk of the Admirals Club his military ID and was admitted access. This generous policy also allows access for immediate family or two guests. Per the documented policy, you need to show both a military ID and working orders but in Jon’s case he was never asked for his orders (which he did have on him). I took a look at some airlines to see if they had a similar policy and only United comes close, though it is much more restrictive. If a military member is on Rest & Recuperation (R&R) leave, then he/she will be admitted to United clubs but unfortunately no guests are allowed. Additionally, some airports have USO centers which military members have access to. I’d like to commend American Airlines for offering this perk to those who bravely serve our country. Its been a weekend of learning for me – between learning another flaw in Marriott’s program to finding out about this free lounge access policy for military members. I only wish I knew about this sooner so I could have shared this with those traveling for the military. Of course, you all know about the impending American Airlines award chart devaluation on Tuesday, 3/22. 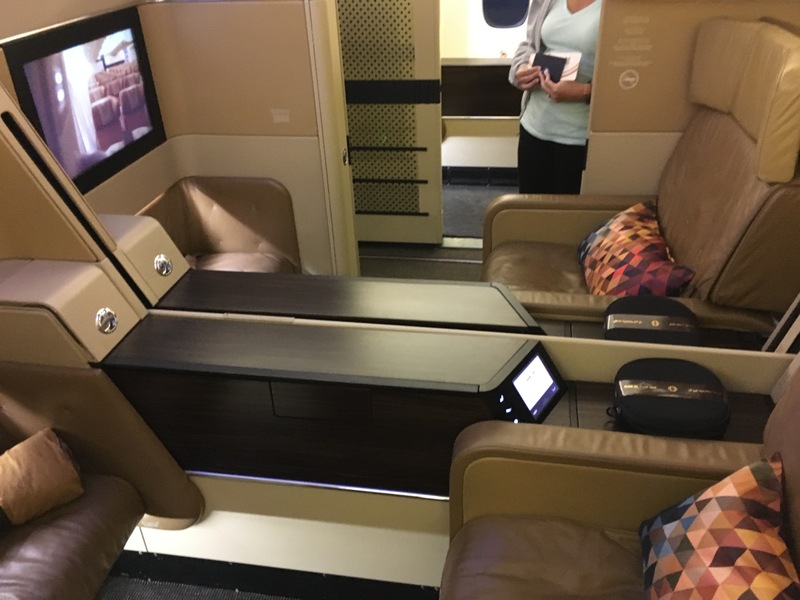 There is no denying it is one of the larger and more impactful devaluations we’ve seen in a while – especially if you use your miles to fly first or business class. Here is the new award chart compared to the old one with some of the major changes highlighted below (all figures are for one way). Economy off-peak flights from the US to Europe go from 20,000 miles to 22,500 miles but the bigger impact are the dates considered off-peak. Previously it was October 15th to May 15th but is now just November 1 to December 14 and January 10 to March 14. My big piece of advice is to try and book any awards TODAY and do not wait until the last minute tomorrow. This is especially true if you are looking to book certain partner awards, including popular awards such as first/business class on Cathay & Etihad, as those cannot be booked online. I fully imagine the hold times on the phone will order on outrageous at some point tomorrow (and maybe even at times today). If you can beat that rush of last minute bookings, you might save yourself some valuable time. Other helpful tips include trying to call the foreign AA offices to book awards, which might not be as busy as the main US number. 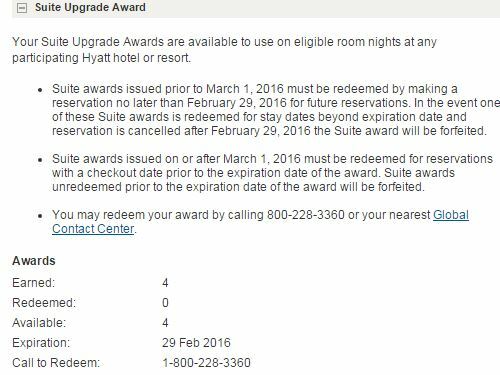 This will be especially helpful if you are booking Etihad awards as the Australian AA office can see awards the US office cannot. The contact number for the AA Australian call center is +61-2-91011948. Update: Credits are posting as expected. See this post for more details. Earlier this week I posted one final reminder to use your 2015 American Express Airline credit whether it be for $200 (Platinum cards) or $100 (Premier Rewards Gold card). 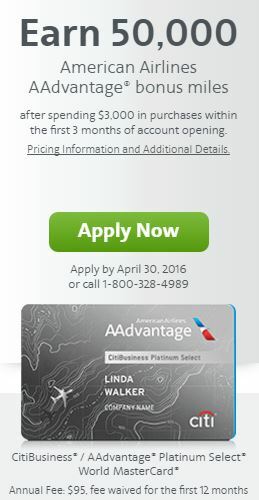 Now that 2016 is here you can now change your airline selection (if you so chose) but I am advocating to use the 2016 credits NOW if you plan to buy airline gift cards. I have always had success buying $50 Delta gift cards or $100 American Airlines gift cards but I would check the latest reports on the Flyertalk threads for United, Southwest and Alaska Airlines before selecting any of those airlines. My argument is a simple one. It is widely known that airline gift cards are not eligible for the airline credit per the terms & conditions. However for years, the automated system American Express uses to determine what is eligible has nonetheless processed certain gift card purchases as being eligible – usually small amounts such as $50 (Delta) or $100 (Southwest/American) or if purchased a part of a registry (United). Right now, we know this is still working as the recent posts to Flyertalk demonstrate but there is no guarantee this will work for all of 2016. I have no inside knowledge to this but I do think there is a non-zero chance American Express changes this at some point in 2016. To show that I follow my own advice, I purchased these two $100 American Airline gift cards yesterday on 1/1 and I am hoping the credits post shortly after (I will update this post once it does). To be clear, I have absolutely zero inside knowledge that this ‘trick’ to buy airline gift cards and have them be eligible for the airline credit will end soon. In fact, it probably won’t end this year as that chance is quite small (but not zero either) in my opinion. After the technical issue earlier this year in which people feared American Express had caught on to this trick, I’d rather be months earlier getting my airline gift cards reimbursed than a day late.